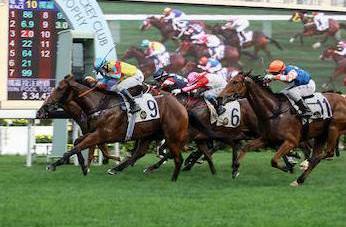 This has for years been Hong Kong's most popular horse racing event of all. In a city that is mad for horse racing, you can imagine it has to feature front and center for one of the most notorious celebrations of the year. You have a chance to experience the electric atmosphere of the sport at this fantastic first race meeting of the year in what has become more than an annual tradition. 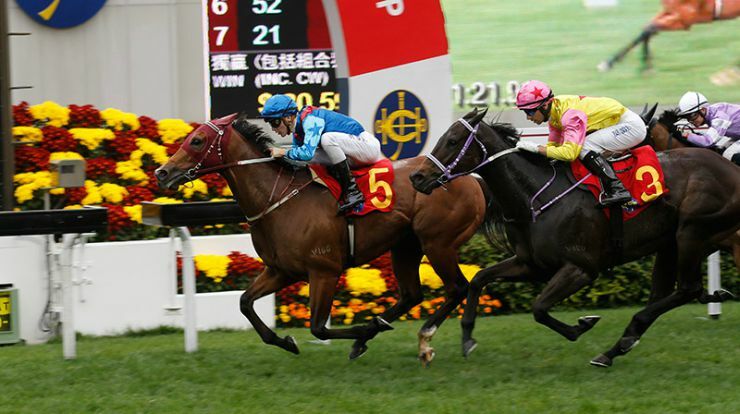 The featured race of the day is the Chinese New Year Cup, a Class 1, 1,400m race. 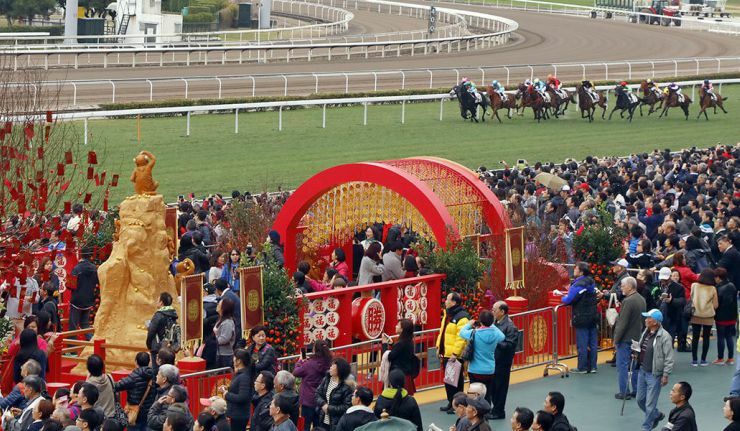 The winning owner, trainer and jockey will each receive a Yuan Pao in the presentation ceremony after the race. 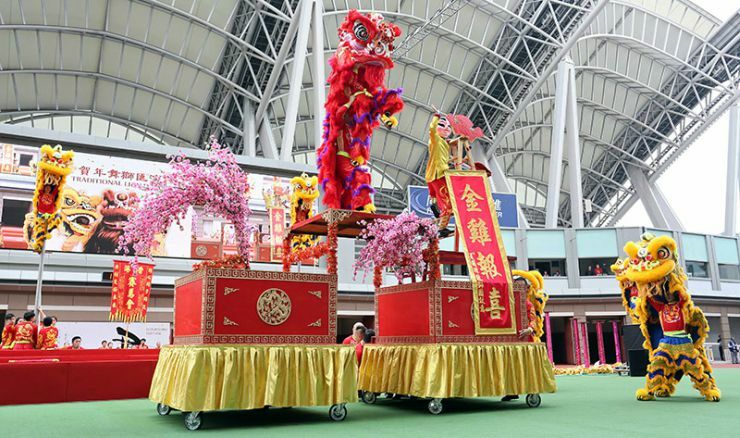 The Hong Kong Chinese New Year Race Meeting is one of eight "Magnificent Race Days" being waged in the Sha Tin Race Course during the racing calendar and one you should not miss if you are in town! 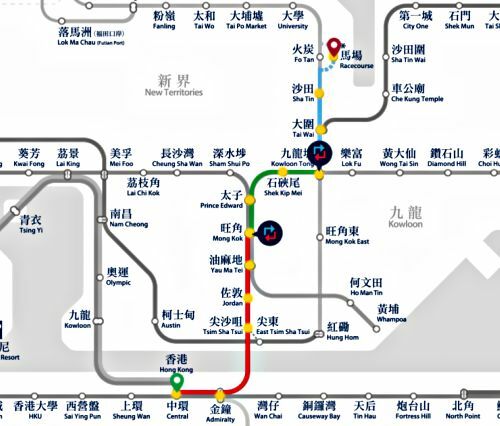 The Sha Tin Race Course is located in the New Territories, the easiest way to get there is with the MTR East Rail line, the racecourse has its own dedicated station. It will take you approximately 40-45 minutes from Central and 25-30 minutes from Tsim Sha Tsui and you can pay with the handy Octopus Card. Take the East Rail Line to Racecourse Station. Racecourse Station is only operational on race days. 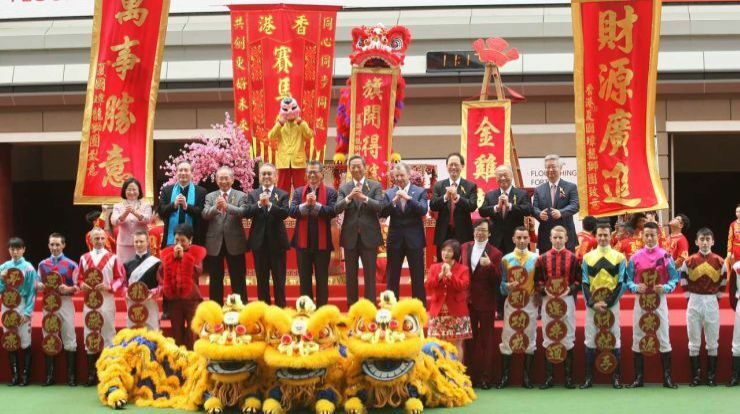 Hong Kong Chinese New Year Race Meeting with the "Come Horseracing Tour"
More than an exciting day at the races, you get to enjoy a full program with traditional Lunar New Year celebrations, lion dances and firecrackers! Everything is taken care of, including the transport to/from the race track and several designated hotels in town and a Chinese/Western buffet dinner and drinks. You get to watch the races from the Members' Boxes, and you have access to the betting halls. They will also bring you around in between races for a close look at the paddock and a tour of the winning post. This is a very fun option where you join other fellow visitors and everyone learns together in a very lively atmosphere how the betting process works, to place a few bets (you get a HK 30 voucher to get you stated!) and whether you win or lose is a super fun and enjoyable day out. Dress for the Members' areas is smart casual. Although this isn't Ascot, please note that there is no denim, shorts, sneakers or flip-flops allowed. 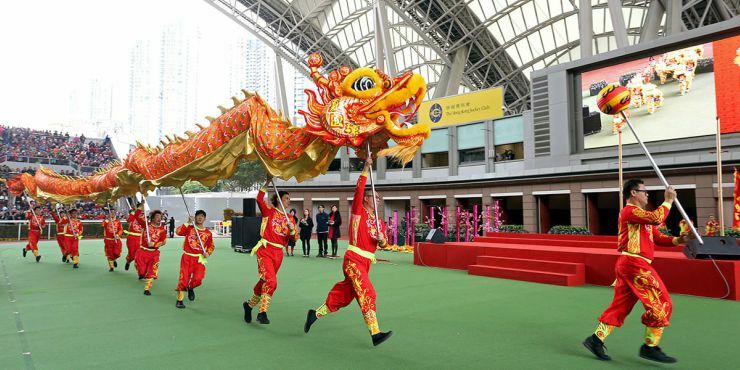 Hong Kong Lunar New Year Celebrations 2019!